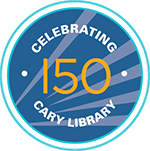 Cary Memorial Library has a full range of services. Our museum passes provide free or discounted admission to 21 museums and other attractions in Massachusetts — and you can reserve them online. If limitations keep you at home, sign up for our Door to Door Service, and let the library come to you. We work with other institutions around the country to provide materials outside of our collections. We have PCs, laptops and mobile e-readers for use in the library and on loan. Reserve a meeting room for your organization, or a study room for small group use. We have a variety of resources to enhance our accessibility for our patrons. Stop by or call the Reference Desk - we're here to help.